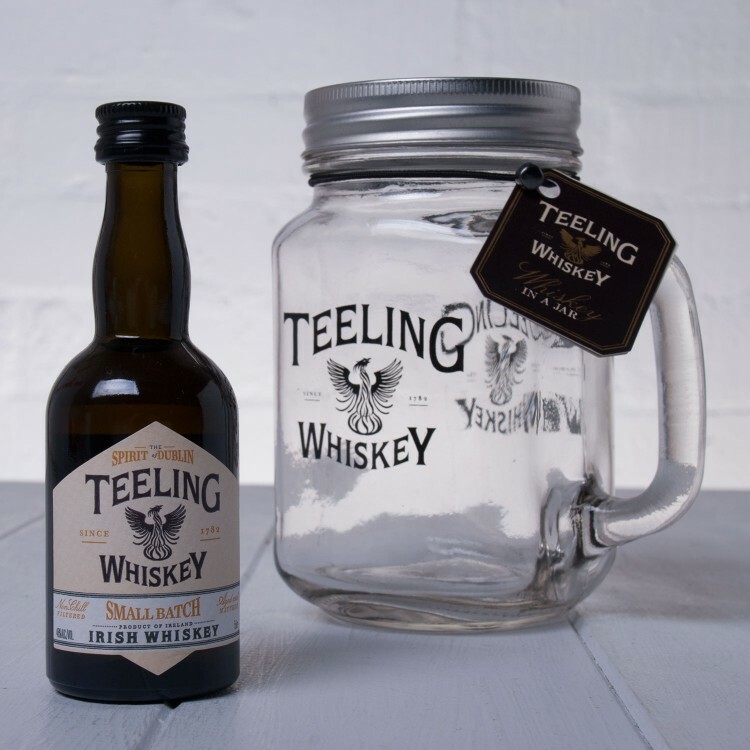 A 5cl Miniature of the Teeling Whiskey Co. Small Batch Irish Whiskey presented in a Screw Cap Mason Jar makes a fun gift or stocking filler for the Whiskey Lover in your life - this witty take on the classic 'Whiskey in the Jar' is sure to put a smile on their face and once the Whiskey has been enjoyed, the screw Cap Mason Jar can be re-used for Drinks and Cocktails. 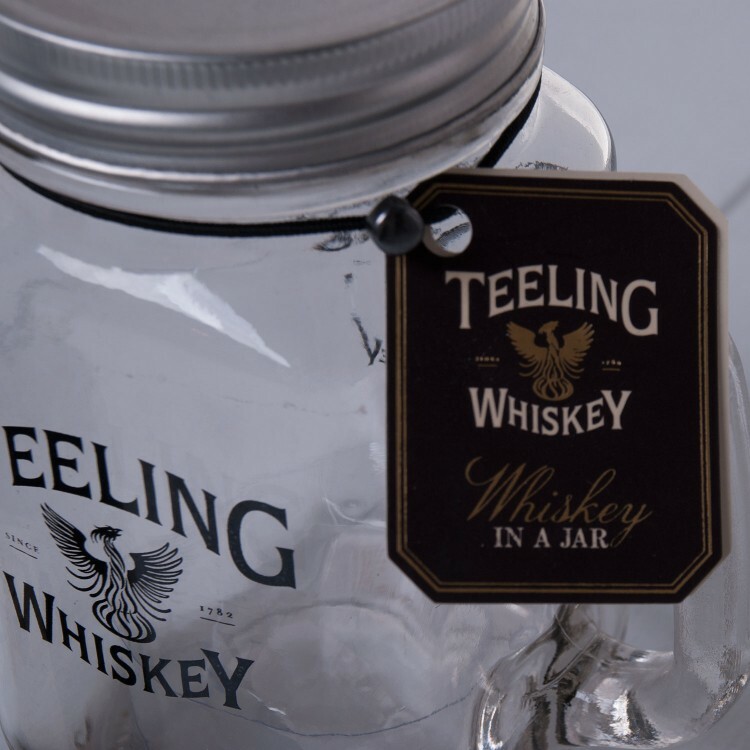 Teeling's Small Batch Whiskey is made from specially selected casks of Whiskey which are then given further maturations in ex-Rum barrels, imparting an extra sweet and smooth flavour unique to Irish Whiskey. A small batch bottling with an inviting nose where vanilla and spice dances with bright sweet notes of rum. The influence of the rum cask and higher percentage alcohol creates a unique smooth, sweet, slightly woody marriage that sparkles on the tongue. 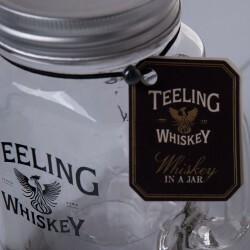 Presented in a screw cap drinking jar.